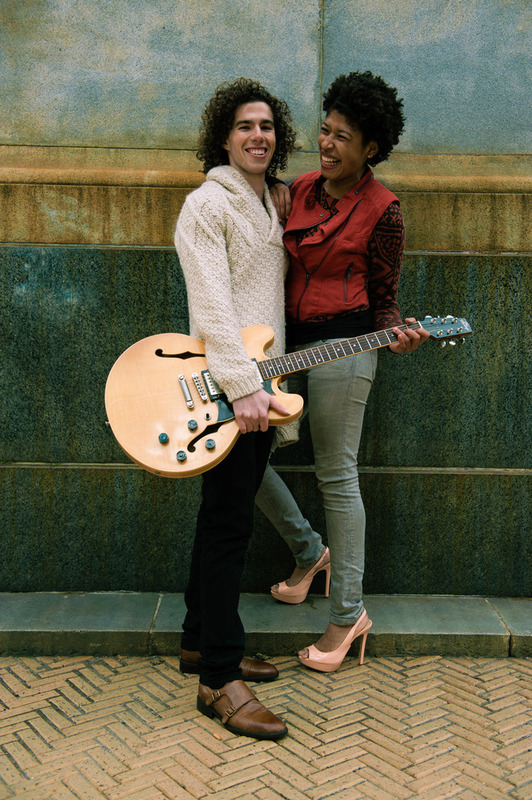 Symphonic Soul Pop duo Aziza and the Cure is the brain-child of violinist Joelle Britt and guitarist Bradley Rouen, a musically gifted couple sharing their love of composing soulful, melodic ballads with classical & Jazz sensibilities. 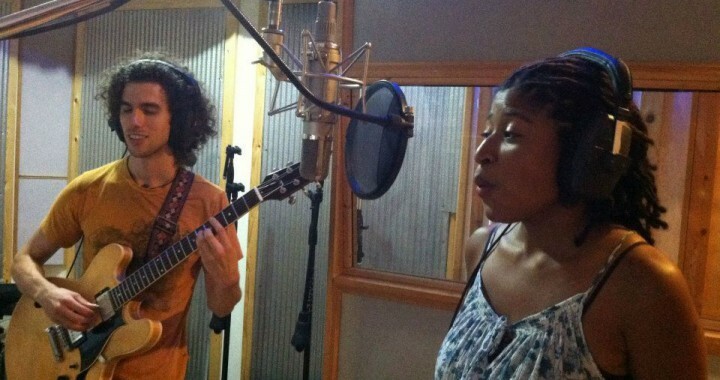 The two held a successful Kickstarter campaign to fund the recording of their debut album. Appropriately so, they kickstarted their stay at Metrosonic with a live streaming concert held in our Showroom. 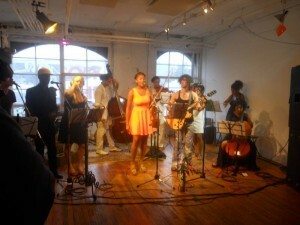 The concert was simultaneously recorded, mixed, and live streamed. A first for Metrosonic. As you can see in the pictures, a diverse & talented group of musicians accompanied the duo, including Ian Baggette on bass, Jamie Eblen on drums, Jujari Britt on cello, backing vocals, and a string section. 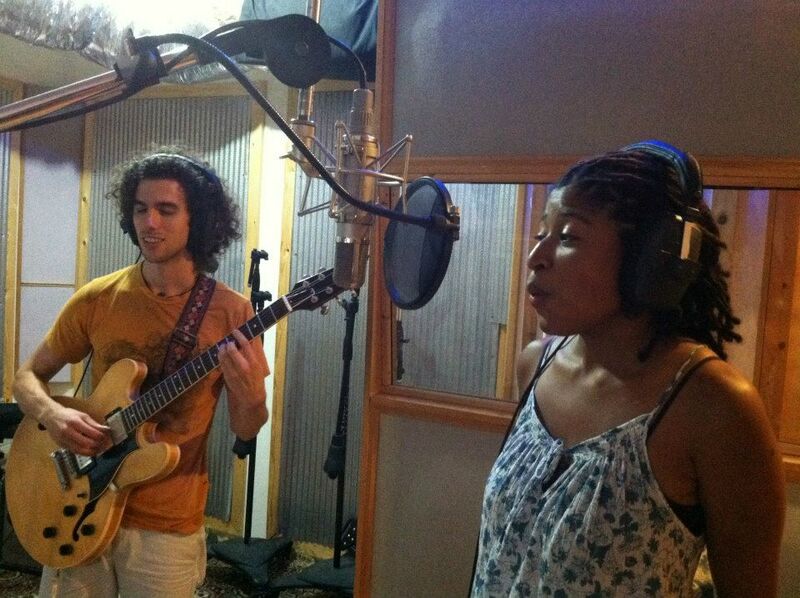 Bradley and Joelle returned to MetroSonic to produce and record their album over a period of two weeks. The process began with recording basic elements from where the compositions were originally inspired, guitar and vocal parts. 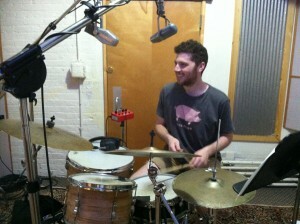 Next were drums and bass, followed by strings and vocal overdubs. As seen in the photo, Metrosonic’s RCA 44-BX pair were used to record drums, allowing for the uncolored sound the album aimed for. 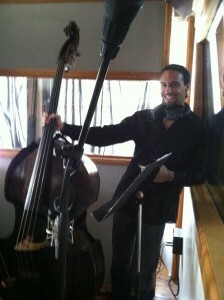 Later, the string section was recorded in our ShowRoom, also to enhance the recording’s live and realistic feel. Bradley Rouen and Joelle Britt recording guitar and vocals. Posted in Live Shows, Rock, Soul and tagged aziza and the cure, Bradley Rouen, Joelle Britt, Symponic Soul Pop.